It occurred to me that unless you’re maintaining a massive software project or training new designers, maintaining a pattern library and keeping track of copious UX design resources is often just busywork. That material is more useful when it’s in your subconscious, not in your documents folder. 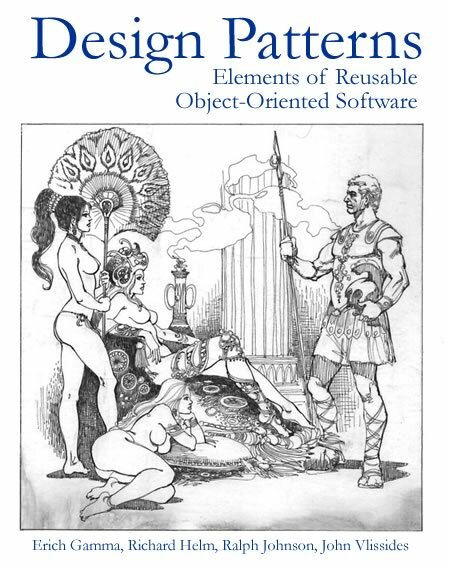 I first encountered the design patterns literature in 2006 whilst researching agile software development for the Smart Internet Technology CRC. Some of this work informed an internally circulated analysis (PDF) of Clayton Christensen‘s disruptive innovation framework. I did Scrum training, interviewed a few experts, and read Christopher Alexander, Gregory Bateson, and Ward Cunningham on pattern languages. The CRC never published any of this work. At the time, I was thinking about doing a PhD in counter-terrorism studies at Monash University. I had an initial chat with Pete Lentini about using pattern languages to model the common strategies in the counter-terrorism literature. I could see how the design patterns could be reused in teaching and intelligence analysis. I spent part of 2007-08 identifying about 60 patterns in the literature (sample patterns: backchannel; deep politics; forbidden knowledge; private universe; Tower of Babel); writing a design patterns template for a repository; and wrote a ‘draft zero’ of 152,000 words (a loose, fragmented collection of notes). It soon dawned on me that this was potentially a massive project with loads of reading and a repository that itself would be the length of a normal PhD dissertation. I shelved the patterns repository project in 2010 and re-scoped the PhD around strategic culture (proposal PDF). I might revisit the project once I have early career researcher status. 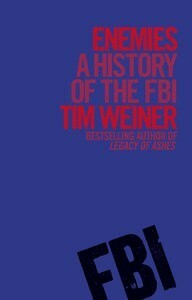 Legacy of Ashes author Tim Weiner has a new book out: Enemies: A History of the FBI (New York: Penguin USA, 2012). Weiner’s research fits a critical tradition of intelligence studies, and also the ‘journalists as investigators’ model that Barry Saunders and I wrote about in a 2009 conference paper. For me, the academic challenge is: when do I get the time to immerse myself in Weiner’s reportage? ‘Pair of hands’ editing and budget development on a research tender. Finished reading Gillian Tett‘s book Fool’s Gold: How Unrestrained Greed Corrupted a Dream, Shattered Global Markets, and Unleashed a Catastrophe (New York: The Free Press, 2009). Tett’s social anthropology perspective highlights the role of securitisation and financial innovation in the 2007-09 global financial crisis. Most of her sources appear to be a J.P. Morgan cohort, interviews with J.P. Morgan Chase chief executive officer Jamie Dimon, and industry conferences such as the European Securitisation Forum. Tett believes the J.P. Morgan cohort pioneered collateralised debt obligations in the mid-1990s and that this ‘super-senior debt’ had a pivotal role in the crisis. Fool’s Gold is most interesting when Tett describes the cohort’s original goals and the CDO innovation-to-market process; although Dimon is also portrayed as a savvy corporate philosopher and details-oriented manager. In response to a Geert Lovink post on blind peer review in academia, Barry Saunders and academic friends tweet this process in an open ecosystem. My take? Many authors will already know who their critics are if there are clear personal agendas rather than constructive suggestions on how to improve an article. Look at the list of associate editors when applying to a ‘target’ journal as they will probably review your work. There are ways to handle ‘rejoinder’ processes – such as to show the internal inconsistencies between positive and negative reviewers. Many academic journals now use a hybrid approach. In November, Ben Eltham and I wrote a conference paper and presentation on Twitter’s role in Iran’s 2009 election crisis. It’s been read by Australia’s Department of Broadband, Communications and the Digital Economy, and been heavily downloaded. Today, Ben received news that University of East London senior lecturer Terri Senft has used our paper in her coursework on digital media culture here. Check out Terri’s personal site, LinkedIn profile, and LiveJournal blog. The Wall Street Journal on the boom in software platforms for open source intelligence in finance, regulatory compliance and intelligence analysis, such as Palantir Technologies. Search the Global Terrorism Database of the National Consortium for the Study of Terrorism and Responses to Terrorism (START) at the University of Maryland. Oliver Stone returns to Wall Street with the sequel Money Never Sleeps. How 9/11 conspiracy theories may have ended Obama’s appointment of ‘green’ expert Van Jones. Security maven Bruce Schneier on Australian counterinsurgency expert David Kilcullen (with thanks to Barry Saunders). Chronicle of Higher Education on Facebooking your way out of (academic) tenure.